If you thought that Facebook is doing a lot to spruce things up after the IPO, well you thought right. Besides a lot of acquisitions and announcements on the mobile front with news for developers on Facebook, it has recently announced the launch of a WordPress tool. 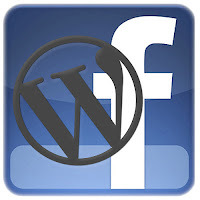 An integration for the WordPress users that will allow users to cross post content from their WordPress blog to their Facebook Timeline or Facebook pages at the click of a button. Social Publishing is what the developer blog states this to be. One of the most important features is that it helps WordPress publishers to easily integrate Facebook features, such as Social Publishing, mentions, tagging friends etc through this new plugin. Which would also mean hassle free update of their content directly on Facebook and since it’s originally on their WordPress blog, the whole worry of content ownership is taken care of. While there have been third party apps like Networked Blogs which gave this option or Facebook’s Note which lets you pull RSS feed of your Blog directly to your Facebook, this one’s a different ball game altogether. The primary objective of the “ Facebook integration for WordPress ” is to help you make your content Social with just a click. What’s more, the plugin will also work on mobile. Once the content is published on your blog, it can be posted to your Facebook timeline.